Up all night... Sleep all day! 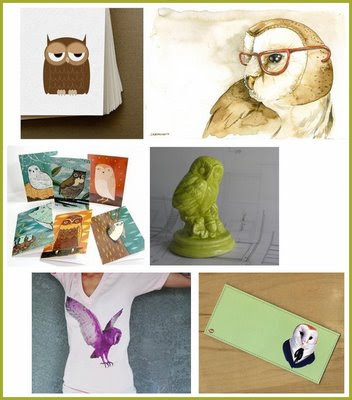 For the wisest of the wise and the styliest of the styley... check out these great owl finds. From shirts to cards to prints to knick-knacks to artist designed wallets... these are the best of the best of all things "Whoot Whoo-ty" on Etsy! *** for anyone who caught that... this post title is totally a tribute to my 13 year old self's favourite band... Slaughter! October 12, 2008 by Hey There!